It was a meeting of Toronto's chiefs — chief of the library, chief of police, chief of public health, and chief of planning. You'd think they all know each other. But it was the first time some of them had met. And they discovered they had a lot to say to each other. 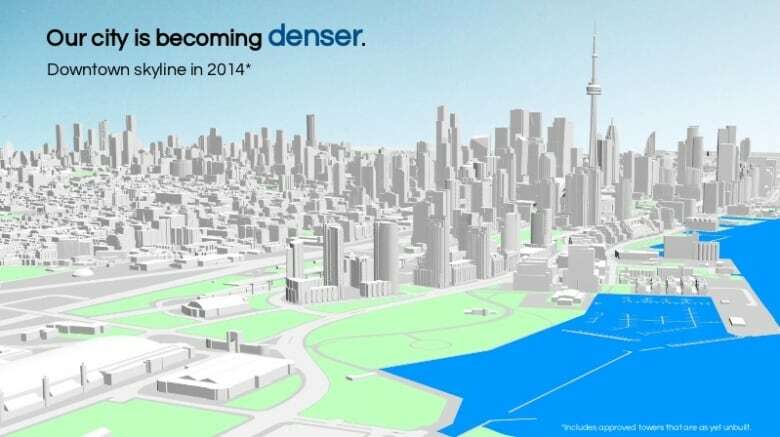 They spoke at a panel at the 25th anniversary of the Canadian Urban Institute (CUI), a non-profit group that conducts research and seminars on density, infrastructure and policy. 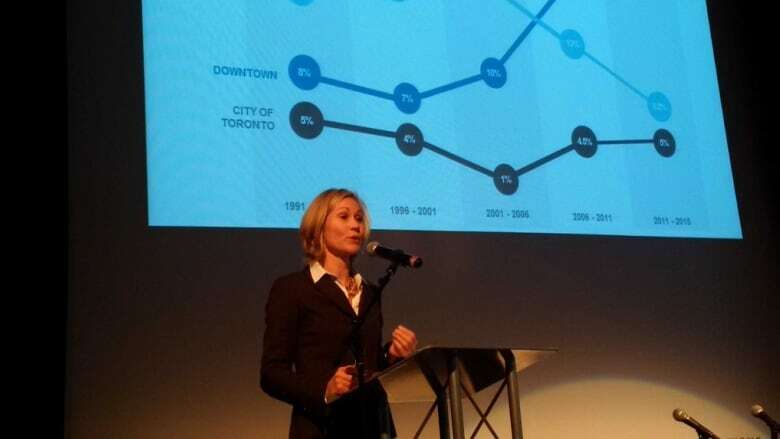 The chief planner, Jennifer Keesmaat, is always the guest speaker at CUI's annual meeting, co-sponsored by the planning journal, NRU (Novae Res Urbis - News of the City). This year, the institute asked a few more people to join the conversation: police chief Mark Saunders, public health officer David McKeown and chief librarian Vickery Bowles. Keesmaat began her talk with a slide of Eglinton Avenue East. "Our transportation planning in North America historically has focused on moving cars," she said. "You design the street in a very different way if your goal is to move cars than if your goal is in fact to move people. So this is what a street looks like when it's designed to move cars." Six bleak lanes of pavement, nothing to draw you there as a pedestrian. Then Keesmaat showed a slide of Eglinton as it will be, when the crosstown LRT is complete. 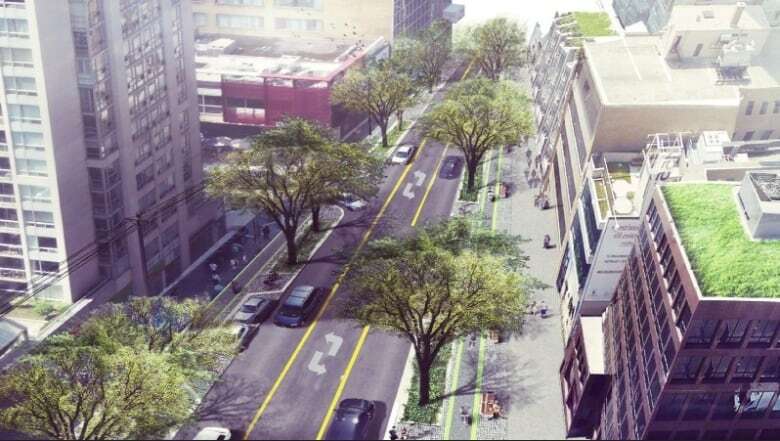 "We are widening sidewalks, creating cycling corridors, adding green buffers, in such a way it becomes a place for moving people," said the planner. "We are turning this into — unapologetically — an urban character." 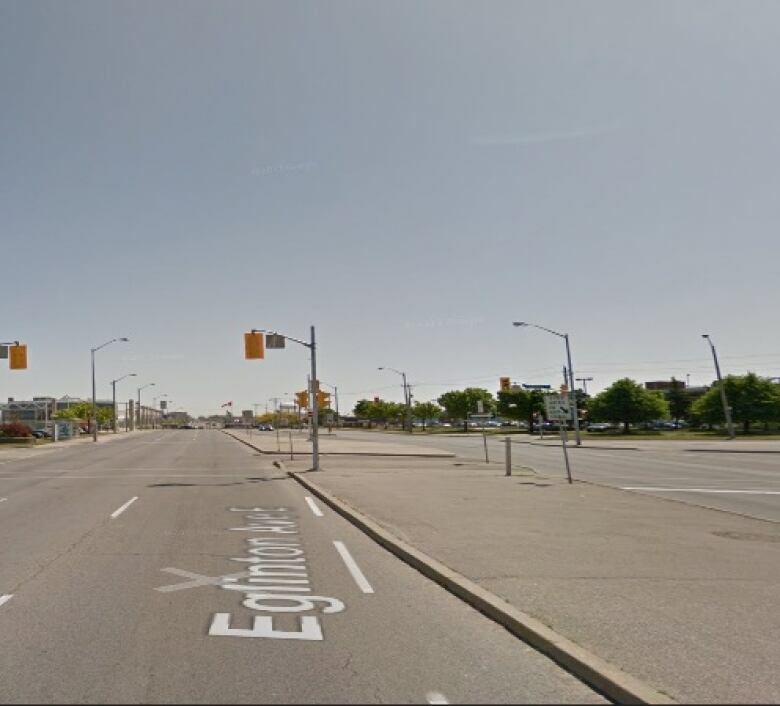 Keesmaat said it was also an effort to become more dense, an antidote to urban sprawl and addiction to automobiles. The next speaker was Chief Mark Saunders. He hadn't come to the panel with prepared notes, so he responded to what he'd seen. "I live in the city and I'm even more excited to stay in the city now," he said. "I was just going to wing it because I had no idea why I was here. What I liked was roads designed to move people instead of cars. I've never heard it explained that way." Saunders said the way Keesmaat explained the transformation was brilliant. "I can tell you before that I would have thought differently, but now I'm converted, and that's cool," said the chief of police. The chief also complimented Keesmaat on her collaboration, saying that way of working is a point of weakness in this city. In Toronto, the chief of police doesn't sit down to talk to the chief planner; this was the longest interaction they'd ever had. The same can be said for the chief librarian and the city's officer of health. And yet, libraries sometimes play a key role in the midst of a security crisis. Panelists spoke about what they thought about their roles as leaders in this city, watching the coverage of the Paris attacks. Bowles, the city librarian, had a surprising perspective on libraries as safe places. She started with Ferguson, Missouri, where large groups of protesters clashed with police last year, and spoke about Alexandria, Egypt, during that city's Arab Spring protests. "In Ferguson, in the recent riots and in Baltimore, everything was closed down. Schools were closed down, services, retail outlets, city hall was closed down. But the libraries remained open. They became a safe refuge for people. Students came to the library in Ferguson to continue doing their school work. Volunteers came to help to respond to the volume of people coming into the library. They made these backpacks; they called them healing backpacks for the children that included free books and teddy bears, to say things are going to be okay. "In Baltimore, one of their branches was in the heart of the riots in the downtown, and people ran into the branch for safety and wouldn't leave until they knew it was safe because they felt safe at the library. They have 22 branches. Not a single pane was broken on any of those windows during the riots. "And then the library in Alexandria in 2011 during the civil unrest there. Youth made a human chain around the library in Alexandria to protect it because they recognize what that public space means to them. "And so I think from a global perspective and what we feel at the library is we have an even more important role to offer a place for discourse and engagement and for the community to be welcomed into a safe and welcoming place." All four leaders agreed it was novel that they were all on the same panel. But when the panel ended, McKeown, the medical officer of health, said he'll be meeting with the police chief to continue the conversation. Saunders seemed the most affected — pondering out loud about needing fewer police cars in his fleet if this is how the city is changing and talking about how much time he spent in his local library as a kid. A small moment of collaboration in a city all four leaders seemed to agree needed more of it.